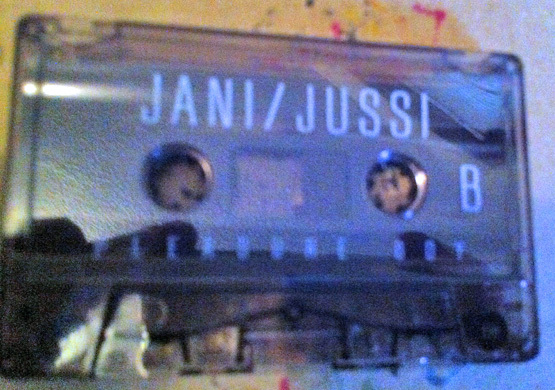 Jani / Jussi can only have their name split down the middle like that because their music seems to be suffering from split personality disorder. After a voice mail from grandma, the songs go from anything such as the rock n roll powered White Stripes to the ‘60’s rock n roll of Shannon and the Clams. Those two may not seem like such a stretch, but it continues to defy genres as it goes on. Hints of Modest Mouse quickly pour into Devo, while Side B takes us into the noise side of things, with water dripping. 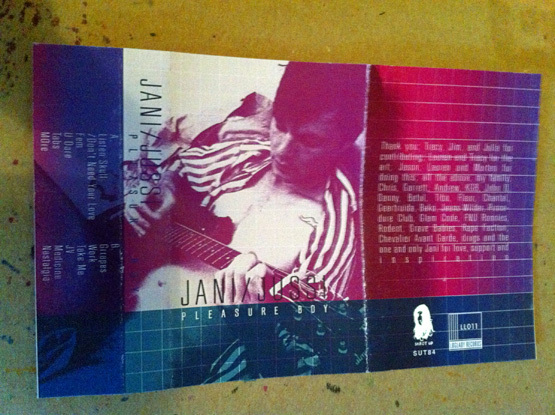 From the loud to the weird, we eventually end up acoustic and quite pretty. I guess I really do like to think of this band—this album—as having that split personality if only because for all of these types of music, all of these emotions to come from the same source just seems like too much for one person, or even one band, for me. Don’t get me wrong: J/J flow from song to song flawlessly and make it seem like all just one big jazz dream, yet they have the genre tags all over the place. So my best advice to you, as a listener, is to ignore all the tags and any words that anyone may say about this cassette and simply listen to it for yourself. Listen to it for yourself, experience it yourself and let the music carry you away.